I first met Tony Chipelo at the 2014 California Audio Show. He was sharing a room with Fritz Speakers and it was the best I had heard the Fritz speakers sound at a show. Electra-Fidelity is a boutique high-end audio company in Las Vegas, NV. It was founded by Tony Chipelo in 2010. In addition to other high-end audio products, Electra-Fidelity is the authorized marketing and distribution arm for the electronic circuit designs of Jack Elliano, who is well known as the founder and manufacturer of Electra-Print transformers. Under the Electra-Fidelity brand they market many of Jack’s designs, all of course featuring his very own, hand-wound Electra-Print transformers. According to Tony the A3-500 amplifiers are the first Electra-Fidelity amplifier to use Jack Elliano’s proprietary Class A3 design with Low IMD circuit. 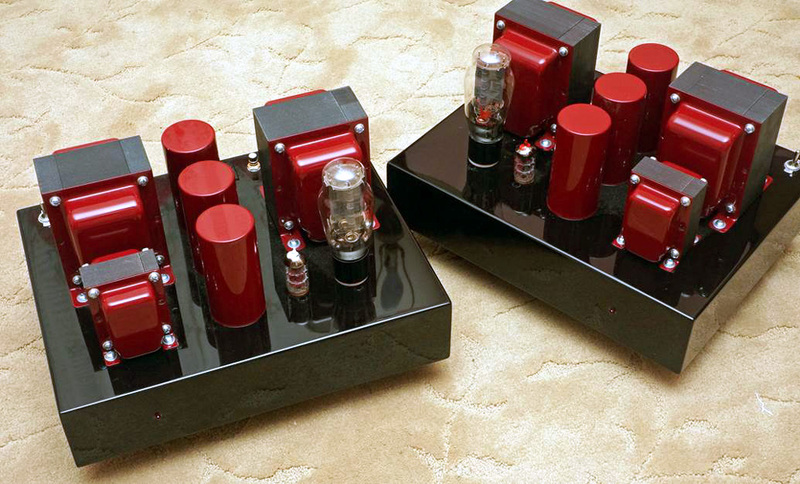 The amplifiers are 300B single ended triode amps. The review amps were supplied with Sovtek 6A3 tubes that are the exact specification and plate size as an original 300B, but using the smaller 6A3 bottle. The driver tubes are either 6ER5. The bias for the A3-500 is preset for the tubes specified for use with the amplifier. In addition, the circuit is a low IMD two-stage amplifier that uses an algebraic summing loop. This lowers IMD, or mixing of low and high frequencies commonly heard with other amplifiers as amplitude distortion present at high music levels. A circuit with a fixed tuning process keeps this loop operating at the optimal level. As such, keeping the tubes near optimum operation is needed to assure top performance. Electra-Fidelity list the following as their design concepts. 1. High gain, high transconductance, low plate impedance tube. 2. Algebraic summing loop resistor is used to lower IMD and this single loop will decrease IMD rise with increased level, since this one tube acts as two tubes. 500V on the plate (versus the typical 350V or so for 300B circuit designs). Class A3 zero negative feedback design circuit with specially wound transformers to match. In summary, the Class A3 circuit shifts total plate dissipation, uses higher voltage, and uses lower current, with increased grid drive over maximum output without drive distortion. 3. Plate Dissipation: The voltage is increased over the published rating with a lowering of the published current rating. 4. Load: The impedance remains fairly constant over the bandwidth due to impedance being a different set of rules expressed by the inductance used. The result is less THD and IM distortion (heterodyne) which now appears nearer the peak level and usually not used and heard. The sacrifice of fractional power is much less than if NFB were used to lower distortion and power. 5. Grid Drive: The grid drive signal to power amplifier stage provides an undistorted signal level over the amount needed to clip the power output tube. In other words, the output stage will be at its maximum limit (clipping) before the driver is at its maximum limit. Therefore, the driver must supply current and the bias of output tube must not change with signal levels. 6. Transformers are wound for a single output impedance (4, 8, 16 ohms, etc.). Review sample is 8 ohm. Now all this is way above my technical understanding but I thought it might be interesting to some of you. So, I’m going to get to the thing that really matters. How does my system sound when powered by these mono blocks? Pricing: Monoblocks: $9,995. Steel chassis available in a variety of automotive paint finishes (review sample is Jaguar Black chassis with Jaguar Phoenix Red capacitor tubes and transformer bell ends). Includes partial silver secondary output transformers. Stereo Version: $5,995 - includes choice of cherry or walnut wood chassis, hammertone black or gray top plate, black or maroon transformer bell ends. Partial silver secondary output transformers add $1200. Disclaimer: I am reseller for Electra-Fidelity amplifiers and AudioKinesis loudspeakers. It was my great pleasure for Tony to invite me to assist at 2014 Newport THE Show where we displayed Electra-Fidelity A3-500 and AudioKinesis Zephrin 46 loudspeaker (Tony Chipelo is AudioKinesis reseller). About one week ago I received Jack’s latest amp with original circuit, a $3500 stereo amp with one 12AT7 shared between both channels and one EL34 output tube per channel, rated 16W. IMO this new as yet unnamed amp competes directly with the subject of this review, even at 1/3rd the price. I can not more highly recommend auditioning this amp for anyone desiring state of the art performance at “everyman” price point. A dual-EL34 version is also available, price TBD <$4500/ea for stereo.